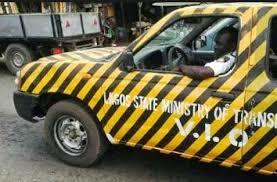 Now the Vehicle Inspection Officers (VIOs) that Governor Akinwunmi Ambode graciously banned from Lagos roads (to the great relief of motorists) in May 2017 are back again with what seems like a revenge mission. They started to operate again since Monday 18th March 2019 making life difficult for motorists. Today on Iju Ishaga Road, they caused a serious traffic jam. Not a few people complained that the VIO authorities are clearly disobeying Governor Ambode’s 2017 order. In May of that year, the Governor said VIOs had been permanently banned from all Lagos roads. 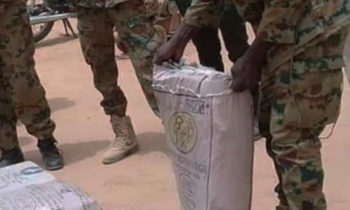 It was the same day the governor also asked the Federal Road Safety Corps to restrict the operations of its men to federal highways and stay off state roads. He said these while inaugurating pedestrian bridges, a lay-by and a slip road at Berger bus stop. His reason was that the VIOs and the FRSC contributed significantly to gridlocks in the state, adding that his government would employ technology to track and monitor vehicle registration and certification. “The Vehicle Inspection Officers have been asked to stay off our roads permanently. The Federal Road Safety Corps is also advised to stay on the fringes and highways; and not on the main streets of Lagos. It has become evident that these agencies contribute to the traffic challenges on our roads. We will employ technology to track and monitor vehicle registration and MOT certifications,” Ambode said. TheNEWS learnt from an Alausa Secretariat source that the VIOs’ Operation this time around would go some steps deeper than just checking of rickety vehicles and insecure loading. Covered number plates. Even those transparent covers are NOT allowed. Broken rear and head lamps, side mirrors. Unregistered vehicles, especially for dealers. If they must move these vehicles around, they should have valid number plate numbers on them, otherwise such vehicles will be impounded. Illegal operations. This include all unpainted commercial vehicles. UBER cabs without proper certifications. Once impounded, you will be asked to produce all necessary documents, sometimes tax clearance which could be very stressful. Valid Road worthiness certificate. (Pls make sure the RWC is a Lagos State doc. Ogun state and others are not recognised for now, so the camera will issue a ticket of invalid RWC once u pass by without a Lagos State RWC. Valid LASDRI card for only paid drivers. The LASDRI card is only for commercial drivers (paid drivers). That is someone who is employed to drive, or who drives for a living.